The Office of Budget & Planning assists the university community in maximizing the utilization of fiscal resources in a manner that is consistent with guidelines established by the Board of Regents of the University System of Georgia, as well as federal, state and local government agencies. Through these efforts, the department supports the university’s goal of becoming a leading urban research institution. 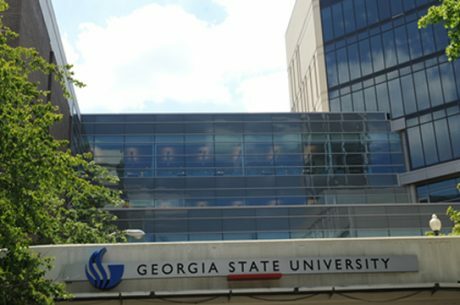 The Office of Budget & Planning works as a liaison between the Board of Regents of the University System of Georgia and the Georgia State University community. Each spring, we coordinate the preparation of the original operating budget, which is submitted to the Regents in May for their review and approval. Once approved, the budget becomes the University’s spending plan for the coming fiscal year (July 1 through June 30). Throughout the fiscal year, we work with university faculty & staff to adjust the budget via budget amendments. These budget amendments are submitted to the Regents at the end of each quarter, and reflect the implementation of university and departmental initiatives. In addition to preparing and maintaining the budget, we also prepare standard and ad hoc financial analyses. These analyses reflect a variety of financial topics, ranging from year-to-date revenues & expenditures compared to budgeted figures, to pro forma financial analyses for proposed university construction projects, to allocation and credit hour analysis. Items requiring action by Budget & Planning are due to B&P by the close of business on Monday, August 27, 2018. Budget journal access will be removed from the University community at the close of business Monday, September 10, 2018. Budget journal access will be reinstated on Wednesday, September 19, 2018. Items requiring action by Budget & Planning are due to B&P by the close of business on Monday, November 26, 2018. Budget journal access will be removed from the University community at the close of business Monday, December 10, 2018. Budget journal access will be reinstated on Wednesday, December 19, 2018. Items requiring action by Budget & Planning are due to B&P by the close of business on Monday, February 25, 2019. Budget journal access will be removed from the University community at the close of business Monday, March 11, 2019. Budget journal access will be reinstated on Wednesday, March 20, 2019. Items requiring action by Budget & Planning are due to B&P by the close of business on Monday, June 3, 2019. Budget journal access will be removed from the University community as of Monday, June 10, 2019. Once removed, budget journal access will not be reinstated until July 2019 for FY2020 budgets only. Therefore, all FY2019 budget lines should be finalized by the close of business on Monday, June 10, 2019.